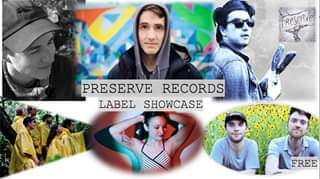 Preserve Records reprises an excellent first label showcase at the Saloon -- with Part Two -- on May 20th, Monday. 8-11 pm. Founded in early 2018, Preserve Records is a home-grown Chicago music family with roots leading back to the formation of folk-collective Friends of the Bog in 2016. As living room rehearsals led to a bedroom studio, more and more songwriters found their way into Friends of the Bog member Patrick Budde’s home. What would soon become the Preserve Records family had started to take shape.